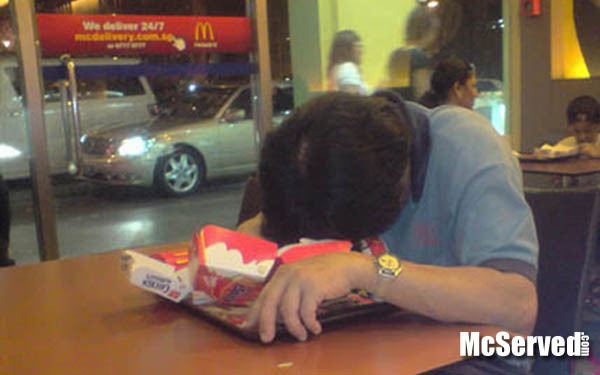 Hibernation | McServed: Getting Served McDonalds Fast Food Funnies, Laughs and More! He ate all he could for the winter. Now he is retreating back into the warmth’s of his shirt for a long rest. this is taken in a singapore mac! not japan.